You shouldn’t plan routes manually. In addition to figuring out the best directions to give your drivers, you also need to account for traffic, weather, construction, and other factors. That’s just too much to do by yourself. You’ll probably end up making mistakes, which would delay your drivers and upset your customers. Instead, you should use fleet routing software to plan your routes. 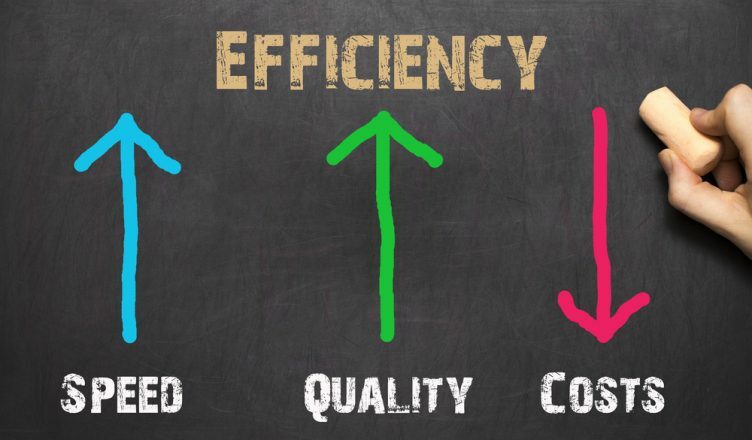 Dispatch software allows you to provide your drivers with more efficient routes, so they can show up on time more often. Route planner software makes it easy to stay organized as well. It helps both you and your drivers keep track of who is supposed to do what. That way, no deliveries will slip through the cracks. Another disadvantage to planning routes manually is that it can take hours. 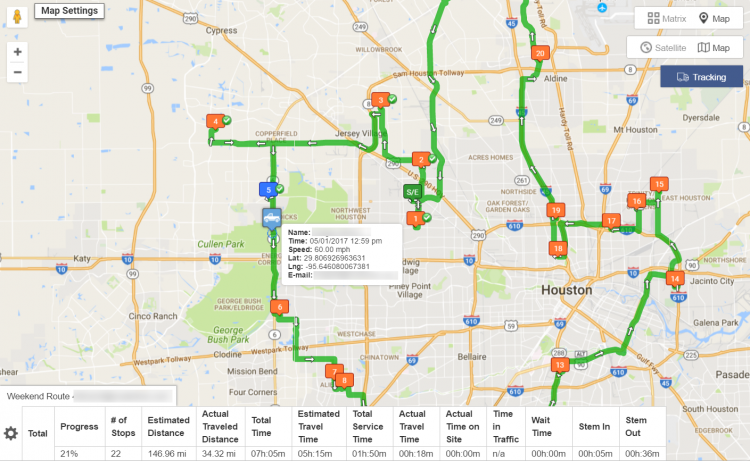 Using a delivery scheduling solution like fleet mapping software cuts the amount of time it takes to plan routes down to seconds. All you need to do is plug in the addresses of your customers, fix the settings to fit your specific situation, and then you’re good to go. Your route will be ready in about 30 seconds. Not all route planners for delivery drivers are equal, though. Some are simple. These bare-bones programs may produce better routes than free online mapping tools, but they consider all vehicles and destinations the same. That doesn’t reflect real life. The best route planners can account for more complex variables, such as customer availability and vehicle capacity. Do you know what your drivers are really doing? They might be working hard, or they might be slacking off while they’re on the clock. You can’t see them, so how do you know? With vehicle location tracking, you’ll be able to see how fast your drivers are going in real-time. Whenever you want, you can check in on your drivers to confirm that they’re sticking to their routes and staying on schedule. You must make sure that your dynamic routing tool has a GPS tracking feature. 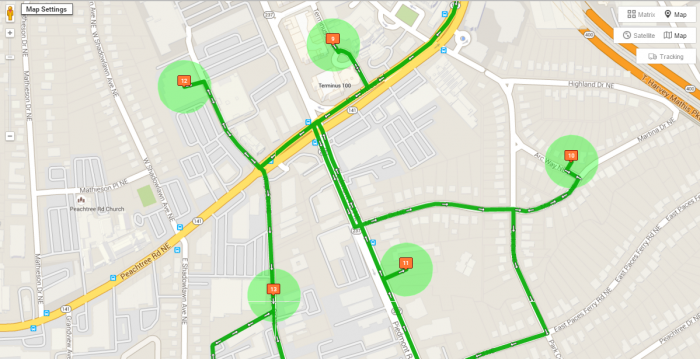 GPS tracking makes using a geofencing feature possible. Geofencing involves placing virtual perimeters around the locations of your customers. Then, you can set it up so that certain actions are triggered when your drivers enter these perimeters. For example, you can use a geofence-enabled route optimizer app to automate the check-in/check-out process. That’ll save your drivers 10 seconds or so at each stop. 10 seconds may not sound like much, but consider how many stops your drivers make over the course of a week, a month, a year. It adds up. You’ll save a lot of money over time. Finally, GPS tracking collects information that you can use to understand your business better. You’ll evaluate your employees more accurately. You’ll know if fuel saving techniques are actually working or not. Overall, you’ll make more informed business decisions. 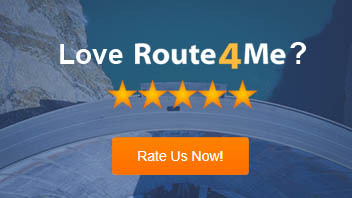 Do you have any questions about vehicle routing software? Feel free to let us know in the comments section below. 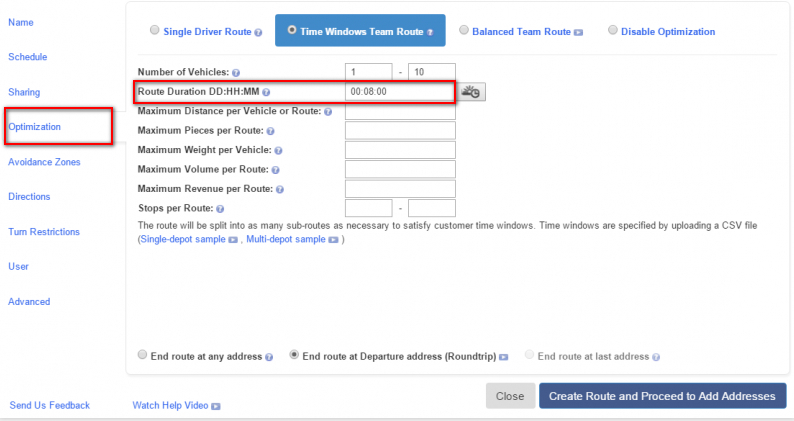 How long does it take to plan routes when you use business optimization software? Are there routing programs available that account for customer availability and vehicle capacity? 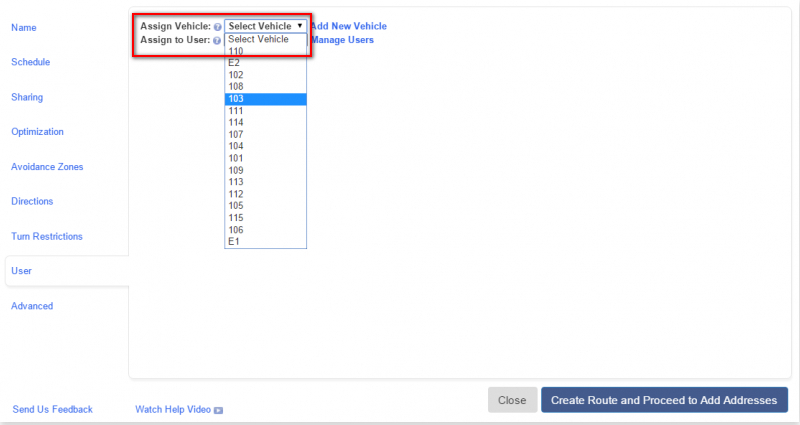 How does a geofencing feature improve schedule optimization software?